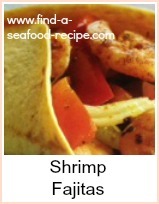 This seafood enchilada recipe, uses basa fish in the ingredients, but you can use any fish you prefer or have to hand. 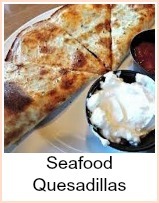 Even canned tuna or salmon would be good - shrimp, crab - anything you like. I love mexican food, but I don't like minced beef and I get tired of chicken, so using fish is an ideal way to ring the changes. These are great as a family meal or make it part of a Mexican themed buffet. You can prepare the enchiladas in advance, just ready to go into the oven. It's an excellent prepare ahead meal for a party, leaving you plenty of time to get other dishes ready or even relax yourself. You'll need to give them a bit longer in the oven if you do. Heat your oven to 400F, Gas Mark 6, 200C and grease an ovenproof dish large enough to fit the wraps in one layer. 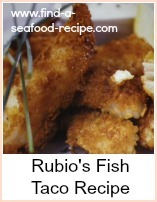 Put the basa fish into a dish and sprinkle over the lemon juice and chilli powder - 1 or 2 tspns according to taste. Stir round to coat thoroughly and set to one side. Then make your sauce. Gently fry the onion and garlic until softened. Add the rest of the ingredients and simmer for about 20 minutes until the sauce is thickened. Take a frying pan (skillet) and heat the oil - fry the onion and peppers until well browned - add the fish with it's marinade and fry off quickly until just cooked through. Divide the mixture evenly between the tortillas and roll into a cigar shape. 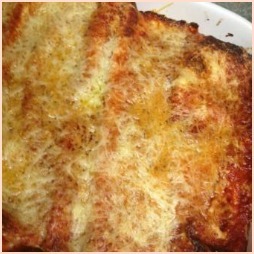 Put the wraps into the dish, pour over the tomato sauce, sprinkle with cheese and bake in the oven for about 20 to 25 minutes, until browned. You could easily substitute any fish in this enchilada recipe, the taste really comes from the combination of spices used. If you have prepared them in advance and allowed them to cool, then give them an extra 10 minutes or so in the oven to allow them to heat through properly. Super tasty and easy seafood enchiladas. If you're not keen on minced beef or just fancy a change, then this is perfect. So gorgeous!.